Recently we traveled across town to find the answer to the question of Who’s on Third? (Street) in Lee’s Summit, Missouri. One of the nice things about living in a large metropolitan city is visiting all of the diverse areas that can be found. Many towns and cities get swallowed up by annexation. While some struggle with an identity complex, others have embraced it. Many have learned to market their unique flavor. 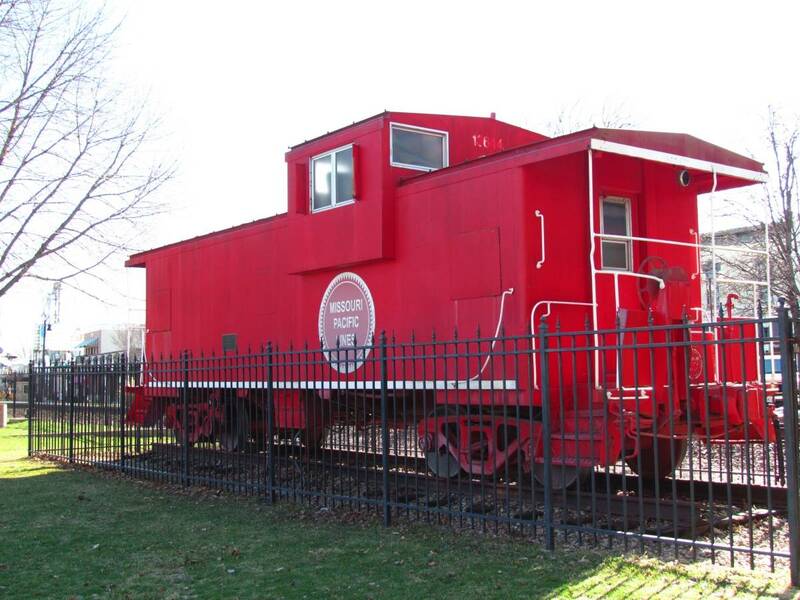 They use it to attract the tax dollars brought in by visitors from other parts of the metropolitan region. For us localized tourists, this is a win-win situation. We have plenty of great little neighborhoods to visit, which gives us a chance to soak up the local culture. A picturesque downtown shopping corridor invites visitors to explore. The historic section of downtown Lee’s Summit, Missouri runs for about seven blocks along 3rd Street. It also radiates out from there for a block in each direction. The entire area is easy to traverse on foot, and free parking is plentiful. With over 40 unique shops, and dozens of dining and drinking establishments, we were looking forward to quite an evening. We pulled into downtown on a Friday afternoon. After parking our car, we decided our first stop would be Bar-istro. After the drive across town, we felt a drink would put us in a more relaxed mood. With our pace calmed, we headed out to explore the area. This is a railroad town, and a stop for the Amtrak, which runs through downtown. 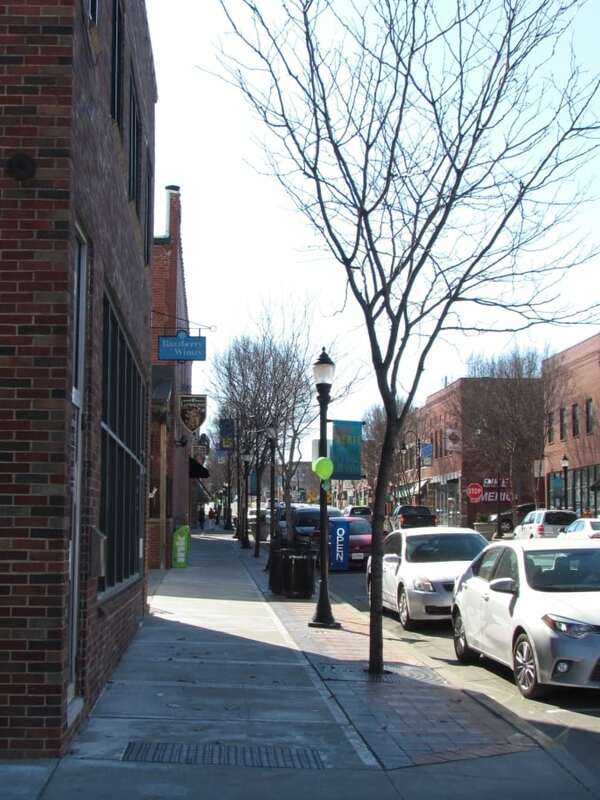 Third Street is the main downtown business area in Lee’s Summit, and it epitomizes the idea of “Shop Small”. A wide variety of boutique style shops fill the area, selling apparel , kitchen supplies, home furnishings, and the list goes on. This is a perfect fit for our type of shopping. We find the unique products offered in these type of establishments have more character than what is found in the larger chain stores. It’s also a lot of fun to stroll through and check out the wide variety of offerings. 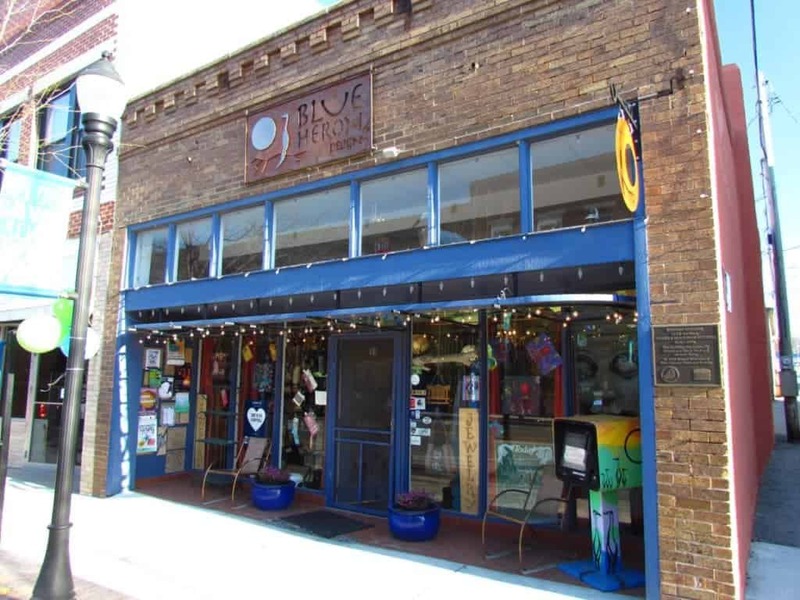 Blue Heron is an example of the boutique shops found on Third Street. 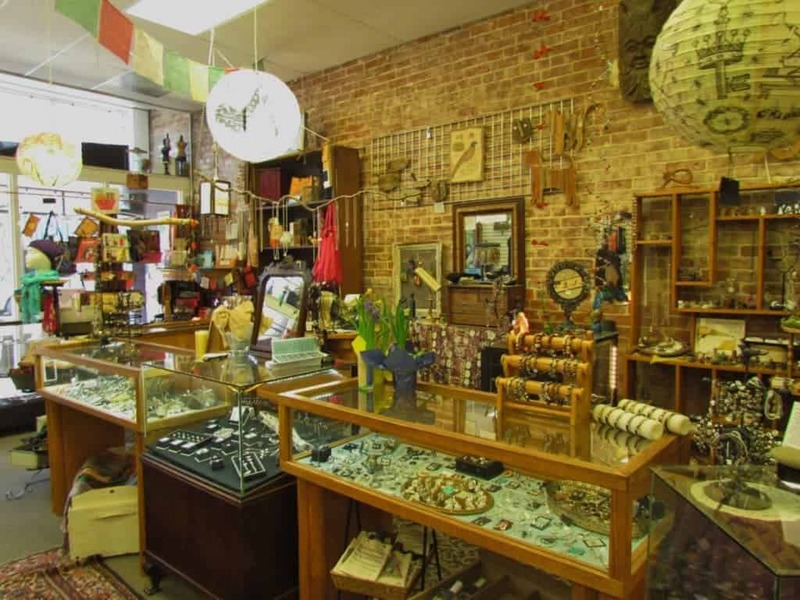 A wide assortment of unique items can be found in the downtown shops. After a couple of hours of shopping, we felt the pangs of hunger rising, so we headed off to dinner. We had made dinner reservations at Third Street Social. We arrived toward the end of Happy Hour, but managed to beat the madhouse of the Friday evening crowd. After being treated to a wonderful dining experience, we set off in search of some entertainment. An inviting gathering spot in the 3rd Street Social bar area. Just about a block off of the main drag we stumbled upon Icehouse Auction. 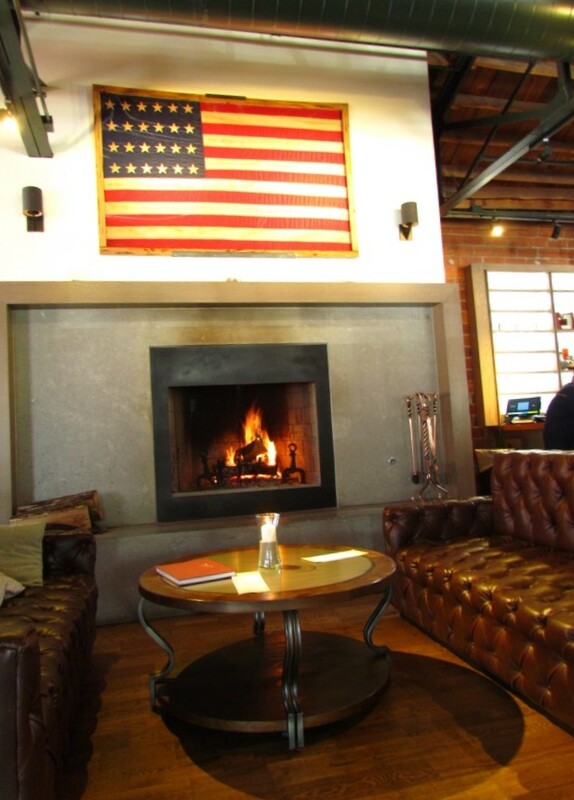 Housed in a building dating from 1896, this place offers a cozy, fun experience. Visitors pick up a bid card, and some of their free popcorn, and proceed to enjoy the spectacle. If you have never been to a live auction, then you don’t know what you are missing. For entertainment value they are hard to beat, and if you don’t buy anything then your spend is nothing. Of course, sometimes you will find that treasure you never knew you wanted, and just maybe you will win it for a steal of a price. 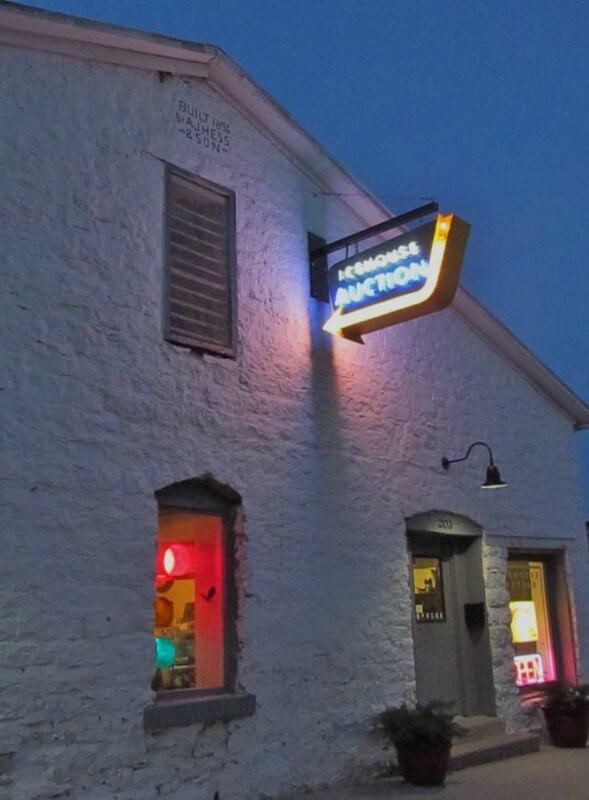 Friday evening are entertaining at this 1896 icehouse turned auction house. We watched the theatrics for a while, and then decided we wanted to see more of the neighborhood. Back down on 3rd Street, we strolled the evening checking out the storefronts. We were quite impressed at the way the city has been able to spark a rebirth of this historic area. This reminded us of some of the other areas around the metro that have been able to add fresh, and sometimes quirky businesses. It is especially impressive when they maintain their historic charm. 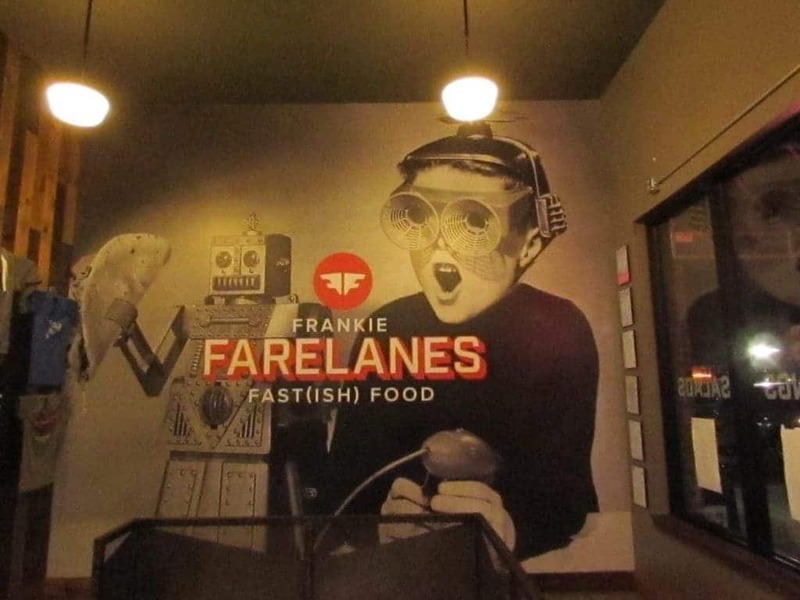 A fun looking eatery that we will certainly have to sample on a return visit. Third Street seems to draw a considerable amount of traffic. This was clearly evident as we strolled the main shopping area. On our walk we spotted Poppy’s Ice Cream, and decided to stop in for an evening nightcap of the sweet variety. The wide variety of culinary experiences we had enjoyed this day spoke volumes about the quality of places that have called this neighborhood home. 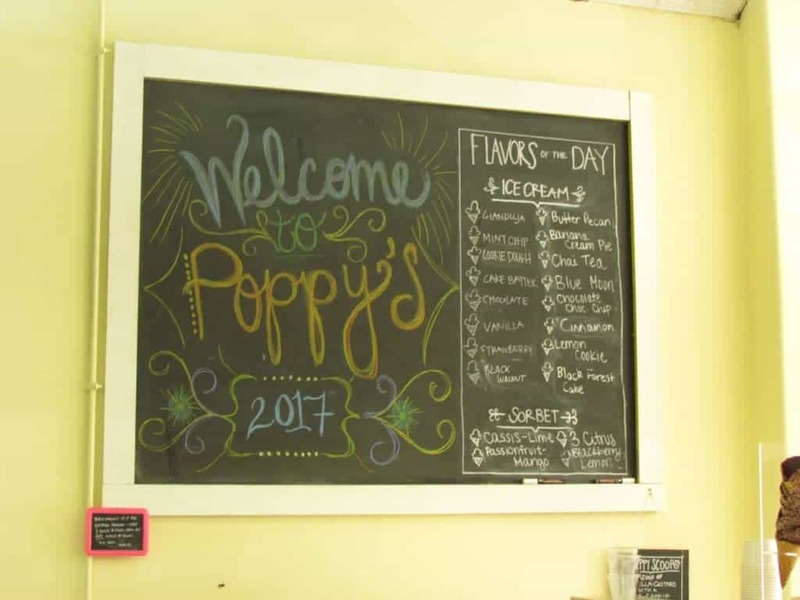 Poppy’s homemade ice cream is available in many fine dining restaurants in the KC metro. As we walked back to our car, we felt certain that we had discovered the answer to the question of Who’s on Third? The whole evening had been delightful, and we noted a few places we did not have time to visit, but certainly needed to be added to a future itinerary in Lee’s Summit. Once again we were happy to have the chance to be tourists in our own hometown. Thanks to Jeff and Crystal for visiting Icehouse Auction! And we’re thrilled you enjoyed yourselves. As lifelong Lee’s Summit residents, it’s gratifying to play a role in the success of our vibrant Downtown district. Hope to see you again soon! We had a great time watching the furious bidding at the auction. It’s certainly an entertaining way to spend an evening. 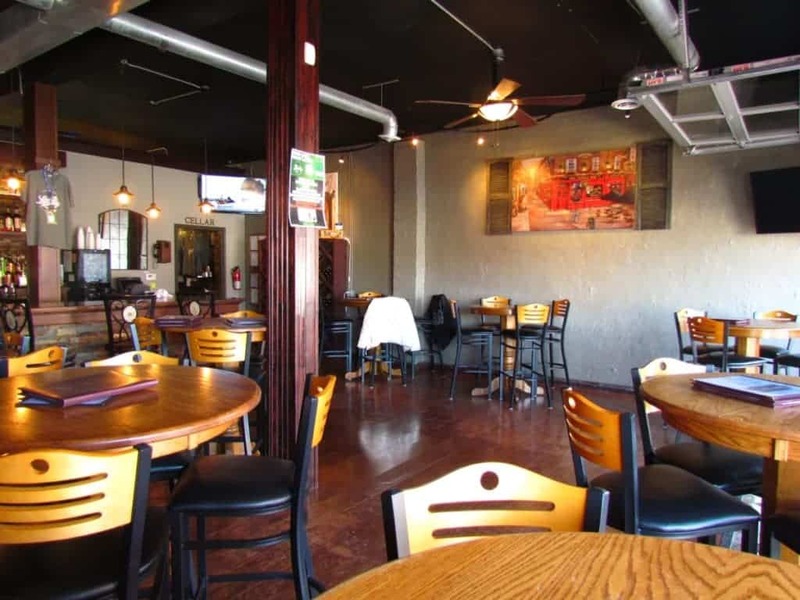 The dining in Downtown Lee’s Summit is some of the best in the city. I have been to many of the restaurants and shops in that area. Here is a list of a few and my favorite things at each one. 3rd Street Social-The meatloaf made with beef and chorizo sausage is my favorite. Llewelyn’ s Irish Pub-Rueben sandwich and Fish & house made authentic chips. Timekeepers Shop-Service on my vintage railroad clock and grandfather clock. Thanks a bunch for this detailed list. It gives everyone some great food options.